Nearly all forecasters on TV are close in accuracy. There’s no competitive advantage to be had there. I need to be the guy who tells the best story. 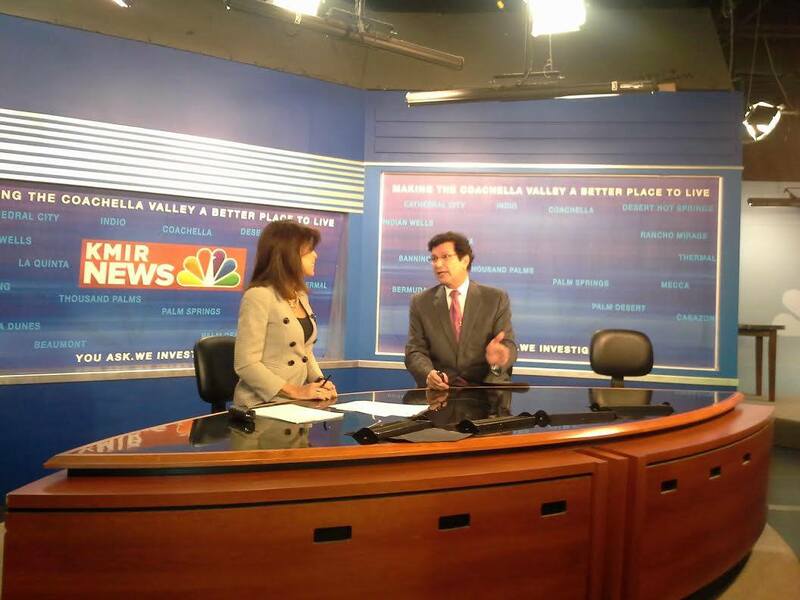 I hadn’t been on TV for a few years before the last few days. It’s what I remember. Very enjoyable. A really good gig. Being on TV nightly is like crack for middle age white guys! I was a performer before becoming a meteorologist. Originally weather just seemed like a good place to perform. 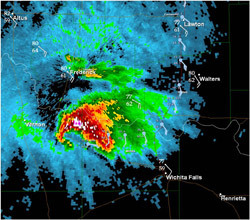 It still is, but along the way I developed a serious crush on weather itself. Forecasting is fun. I’m a math guy. I look at maps and charts and visualize what’s going to happen. Forecast models have gotten good enough to speak to me! You don’t get all the details. You couldn’t remember all the details. You need the essence of a day which will be different morning, noon and night! You need actionable information. It’s a challenge. Weather is ad libbed for a couple of minutes a few times a night. As a former boss pointed out, I do PowerPoint presentations. A different one every day. Not everything works. I’m always trying. My friend Peter Mokover, while my boss at WPEN, asked me not to tell the jokes that weren’t funny! I’ve worked with two anchors so far and our tosses were great. That’s a sign of their confidence. Not everyone is playful on-camera. You’d be surprised. This is a jackpot for me! I just got an email from… well, I’ll let her tell you. My name is Mandi Rogers and I am a casting producer seeking America’s next meteorologist for a major network television show! Are you a meteorologist with a big personality? 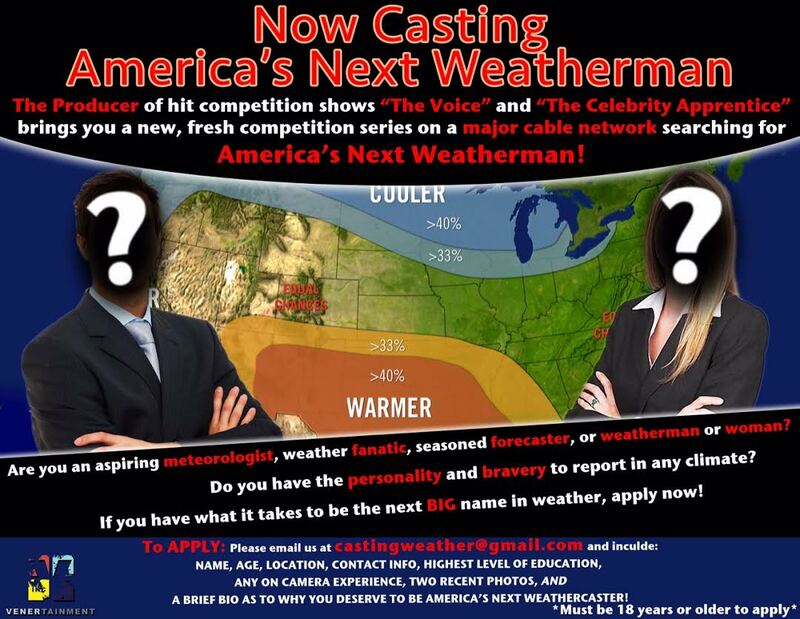 Do you think you have what it takes to be “America’s Next Weatherman?” Emmy award winning production company is now casting weathermen and women for a major network! Are you a passionate climatolgist? Do you love everything about the weather and ready for your big debut? This could be your chance to For more details submit yourself now with a breif bio, location, website (if applicable), contact number and photo. I have attached a flier for more information on how to apply and would love if you could help us get the word out to your weathercaster family, co-workers, interns and social media following. Feel free to share on Facebook, Twitter, E-mail or just hang up a flier. ***If you have the personality and bravery to report in any climate, then we want you! “I’ll show you how to stalk,” Stef offered. She then followed the breadcrumbs until we found the show’s producer. “I’ve sent emails like this.” She has. Email like mine are sent early in the development process. Usually things stall. Not always. This show might hit the air. The results are now in, appearing in last week’s New Haven Advocate issue. You done good! I was feeling sorry for myself when the New Haven Advocate announced their annual reader’s poll. Maybe you remember? I asked for your vote on Facebook, Twitter and my blog. The rules allow for electioneering. I had something to prove–something I still wanted to show. The results are now in, appearing in last week’s Advocate (but for some frustrating reason not online). You done good! counting them. Seriously. The spreadsheet just went on and on and on. In our entire history of Best Of voting, we’ve never seen so many votes for one winner. I can’t begin to tell you how much I appreciate your support… except to say I appreciate it a lot. Is this vindication? I think so, but maybe I’m still a little too anxious about being vindicated. 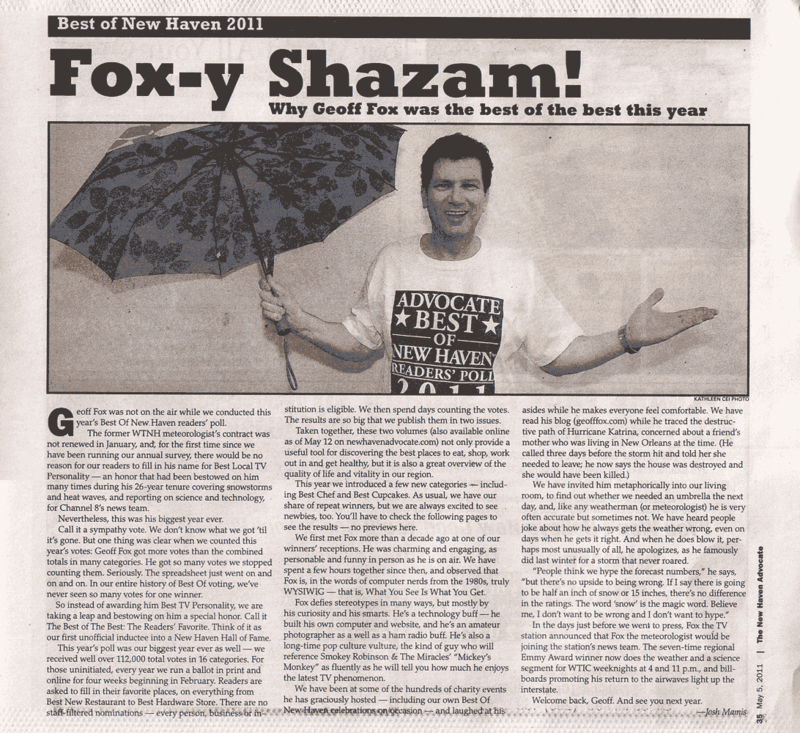 From the New Haven Advocate: Geoff Fox was not on the air while we conducted this year’s Best Of New. Haven readers’ poll. 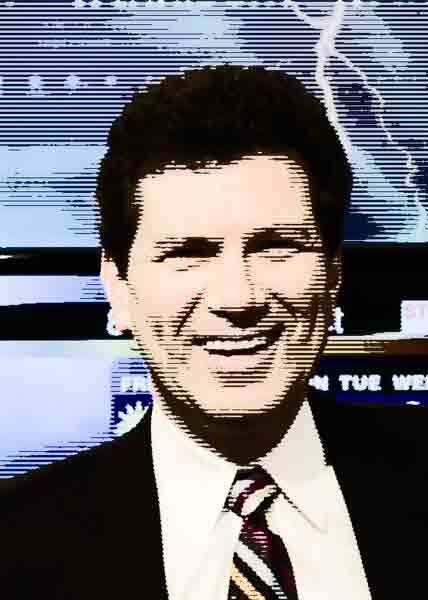 The former WTNH meteorologist’s contract was not renewed in January, and, for the first time since we have been running our annual survey, there would be no reason for our readers to fill in his name for Best Local TV Personality — an honor that had been bestowed on him many times during his 26-year tenure covering snowstorms and heat waves, and reporting on science and technology, for Channel 8’s news team. Nevertheless, this was his biggest year ever. Call it a sympathy vote. We don’t know what we got ’til it’s gone. But one thing was clear when we counted this year’s votes: Geoff Fox got more votes than the combined totals in many categories. He got so many votes we stopped counting them. Seriously. The spreadsheet just went on and on and on. In our entire history of Best Of voting, we’ve never seen so many votes for one winner. So instead of awarding him Best TV Personality, we are taking a leap and bestowing on him a special honor. Call it The Best of The Best: The Readers’ Favorite. Think of it as our ﬁrst unofficial inductee into a New Haven Hall of Fame. This year’s poll was our biggest year ever as well — we received well over 112,000 total votes in 16 categories. For those uninitiated, every year we run a ballot in print and online for four weeks beginning in February. Readers are asked to fill in their favorite places, on everything from Best New Restaurant to Best Hardware Store. There are no staff filtered nominations — every person, business or institution is eligible. We then spend days counting the votes. The results are so big that we publish them in two issues. Taken together, these two volumes (also available online as of May 12 on newhavenadvocate.com) not only provide a useful tool for discovering the best places to eat, shop, work out in and get healthy, but it is also a great overview of the quality of life and vitality in our region. This year we introduced a few new categories — including Best Chef and Best Cupcakes. As usual, we have our share of repeat winners, but we are always excited to see newbies, too. You’ll have to check the following pages to see the results — no previews here. built his own computer and website, and he’s an amateur photographer as a well as a ham adio buff. He’s also a long-time pop culture vulture, the kind of guy who will reference Smokey Robinson & The Miracles’ “Mickey’s Monkey” as fluently as he will tell you how much he enjoys the latest TV phenomenon. We have invited him metaphorically into our living room, to find out whether we needed an umbrella the next day, and, like any weatherman (or meteorologist) he is very often accurate but sometimes not. We have heard people joke about how he always gets the weather wrong, even on days when he gets it right. And when he does blow it, perhaps most unusually of all, he apologizes, as he famously did last winter for a storm that never roared. In the days just before we went to press, Fox the TV station announced that Fox the meteorologist would be joining the station’s news team. The seven-time regional Emmy Award winner now does the weather and a science segment for WTIC weeknights at 4 and 11 p.m., and billboards promoting his return to the airwaves light up the interstate. “I’ve just been with us when we were in high school,” I said at the sound of the tone. I was in my car on my way home from Orange yesterday afternoon when I reached my friend Peter’s voicemail. Peter and I met as adults, but we understand each other’s background. We were both A/V Squad member nerdy geeks. We grew up separately, but on parallel paths. My trip to Orange started with an email from Nick Minore. 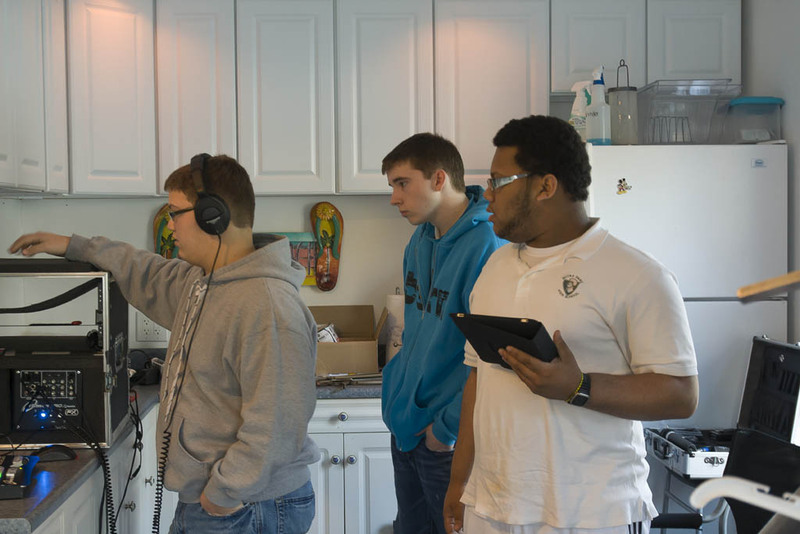 For my English final project, a group of students and myself are working on developing a student-produced news broadcast utilizing works of literature that we’ve read throughout our studies. Our plan is to take events from literature and report on them as real-world events, including weather, sports, finance, and movie reviews. We came up with the idea to describe the weather and then thought of you. 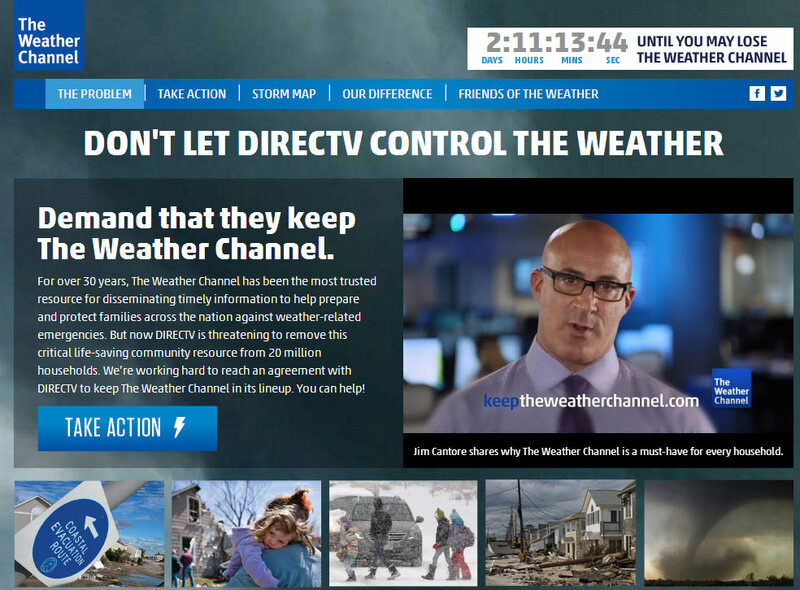 Would you be willing to assist us with our project by helping us produce a real-world weather broadcast? 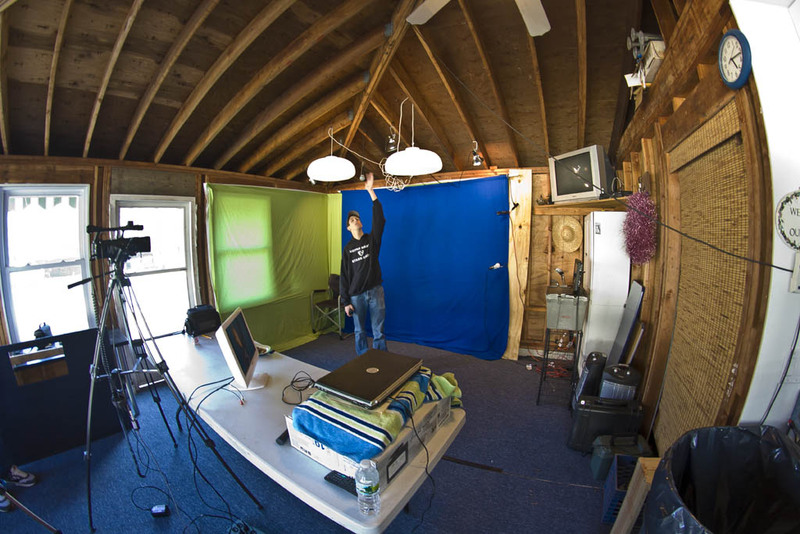 One of our group members has developed a studio, complete with lighting, sound equipment, and a full-sized green screen. This is the kind of thing I normally don’t do, but I was curious. The studio was located in a pool house behind Nick’s family’s home. The single room ‘house’ with ceilings high enough for lights is just the right size for a studio! What amazed me was how well equipped Nick was. He didn’t have broadcast quality equipment or even many cases TV specific equipment. What he did have was an understanding of what was needed and the ability to ad lib and adapt. The fill lights were decorative lanterns with paper shades that diffused the light. 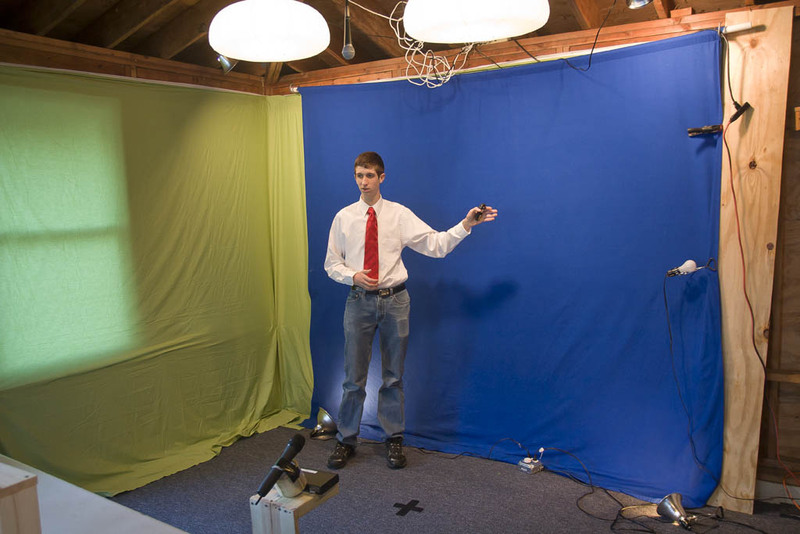 The blue chromakey wall was a sheet. A microphone was hung from a beam supporting the roof. 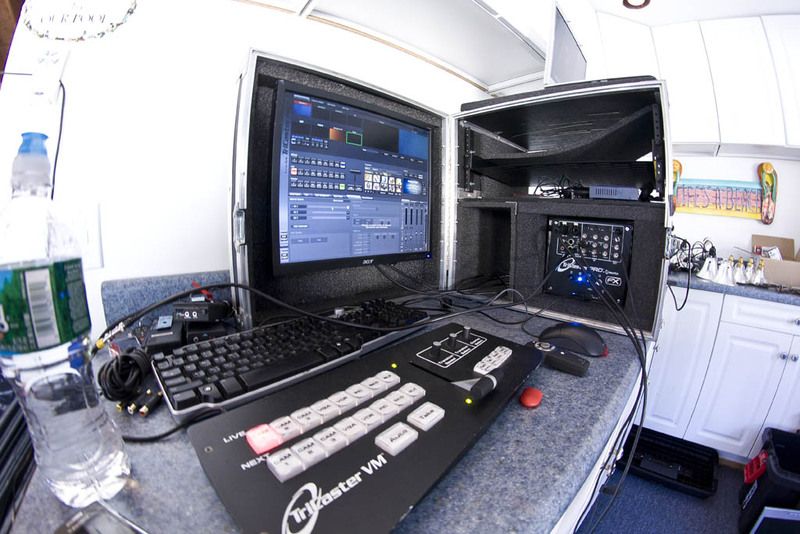 There was a “control room in a box” TriCaster that Nick borrowed from a local producer he works for. Nick’s father who fabricates metal for high performance race cars built an aluminum camera jib that would be the envy of most high end production companies! Seriously. Nice job. Nick was accompanied by three other college bound Notre Dame High School students in Mrs. DelVecchio’s English class. One was the weatherman, the other two were the crew. I was there for a cameo! A moment after the weatherman began to deliver his forecast I walked in and asked if this was where the meteorologist auditions were taking place. Funny? Maybe. Did I add anything to their presentation? Probably not. In this case I was the one who got a treat by meeting these industrious kids. Note to Mrs. DelVecchio: These kids love you. Whatever you’re doing, don’t stop. Basically there was so much wind the snow was blown into drifts which had the effect of compacting the snow. I am bushed! I know my job isn’t physical labor, but today it was very draining. I started around 1:00 PM and went until 11:35 PM. A lot of people do a whole lot more. How do you do that? From a meteorologist’s standpoint today was very interesting. I know now there’s no way I could have predicted snow accumulations accurately. I think most people caught on to that viscerally. 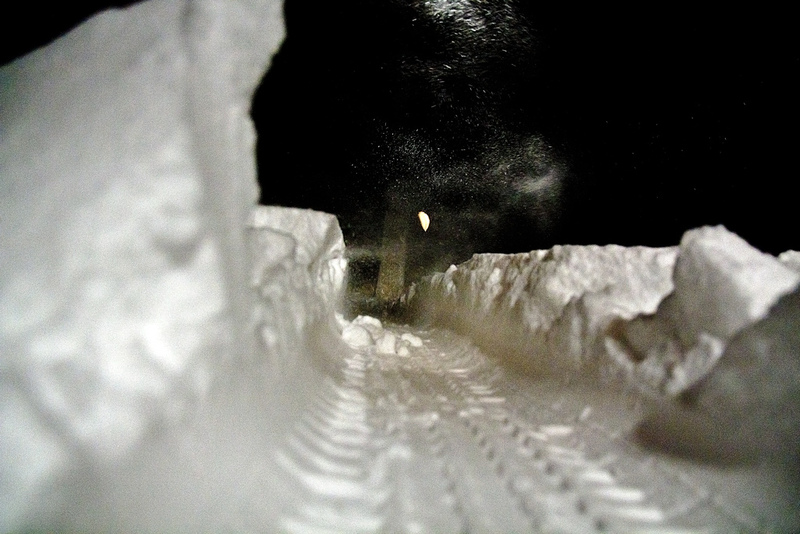 Basically there was so much wind the snow was blown into drifts which had the effect of compacting the total. This is one of those cases where one plus one doesn’t equal two! It was possible to have an inch of snow one hour, an additional inch the next and end up with under an inch of snow! How many feathers does it take to fill a bag? Similar quandary. The wind was… still is at this hour… crazy. We seldom get 50 or 60 mph winds, but we did tonight and they were widespread. I spent the my time on the air telling people to stay off the roads, but by the time I left the building the snow had temporarily let up and I made a dash for the house in Helaine’s 4WD SUV. I took city streets instead of my usual missile flight up I-91. 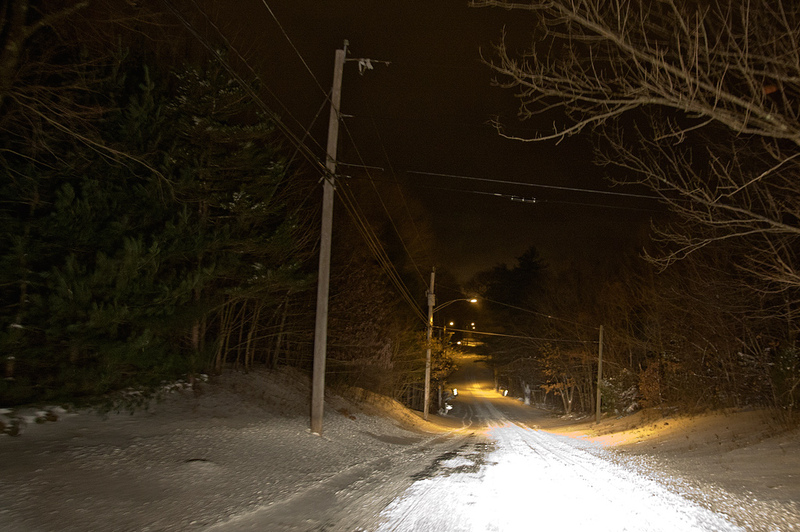 The main streets were plowed but very slippery. Once I turned onto the squiggly road that climbs my hill things became a little more dicey. The last half mile to my house had no visible tire tracks! By the way, I stopped the car to take these photos. With all of you at home stopping in-the-middle of the road was no problem. Thanks. Actually, I take that back. At one stop I had a little difficulty regaining my traction. A quick shift to reverse and a few feet of rollback solved the problem. 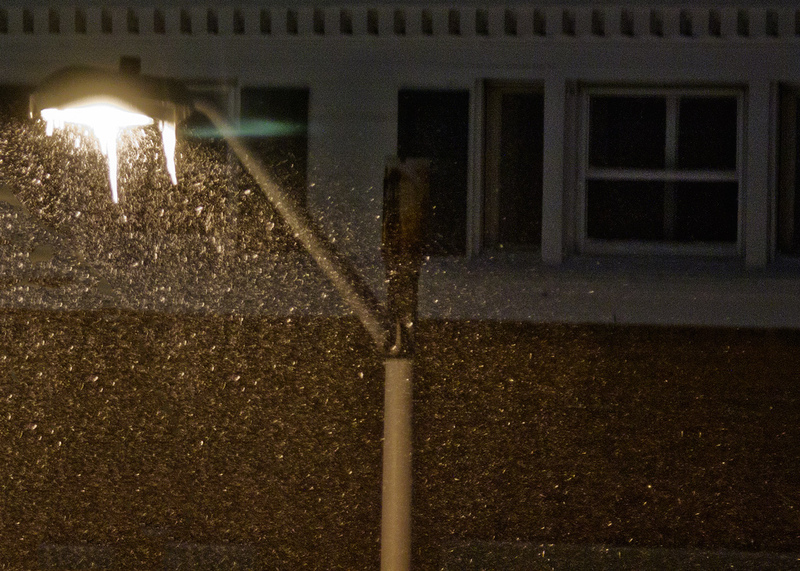 We had blizzard warnings tonight and certifiably rotten conditions. 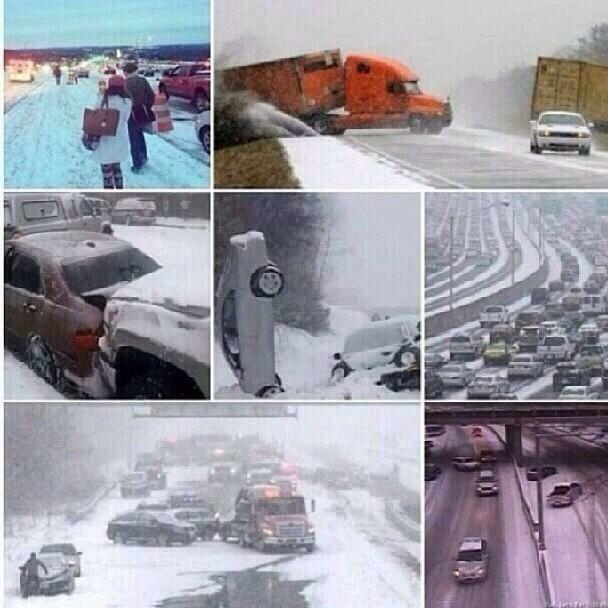 What we didn’t have (as I warned in a post a few days ago) was a blizzard! The official parameters are so stringent I’m not sure we ever could! Maybe blizzard needs to be redefined. Lots of people are surprised there’s math involved. Yes there is! From time-to-time someone will walk up to me and tell me they’d like to be a meteorologist. If you’re younger, smarter and better looking than me while willing to work for less I’ll do my best to discourage you! Who needs the competition? Lots of people are surprised there’s math involved. Yes there is! In the 21st Century spelling counts too. I like the job a lot partially because I get to look at stuff like this every day. Here’s today’s BUFKIT output. Like Hebrew you read it from right-to-left. Here at the Dallas/Ft. 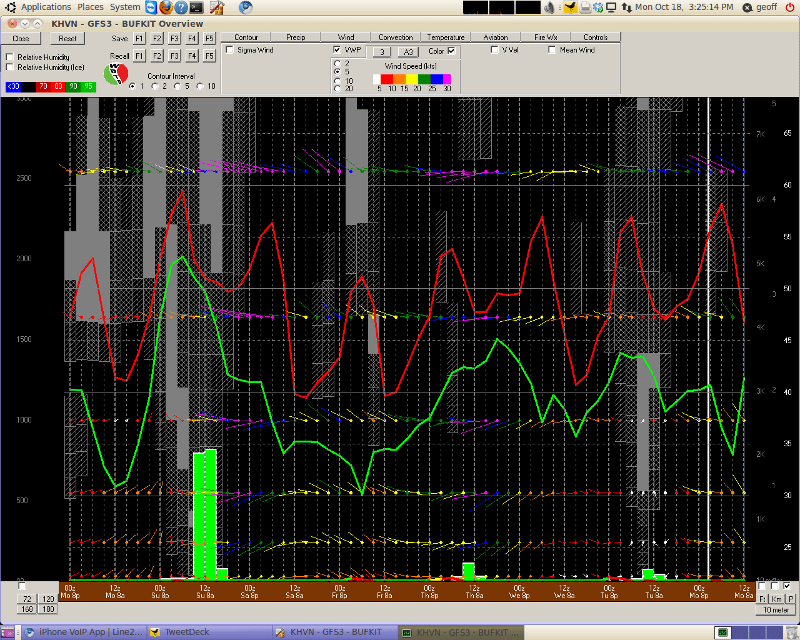 Worth TX station I work at our Weather guessers have been accused of being Weather Nazis when any rain starts to fall. They take over and viewers miss their programs. Do you ever get comments like that? Jon – I assume we break in a lot less than they do in Texas because we have a lot less ‘short fuse’ weather like tornadoes. There have been some complaints when we’ve gone wall-to-wall but we only do that when there’s a tornado warning–rare here. Our prime time for severe weather is late afternoon so we’re less likely to be blowing out people’s favorite shows. If you ask our producers they’ll tell you I most often ask them to tone down not hype up coverage. Not always, but mostly. 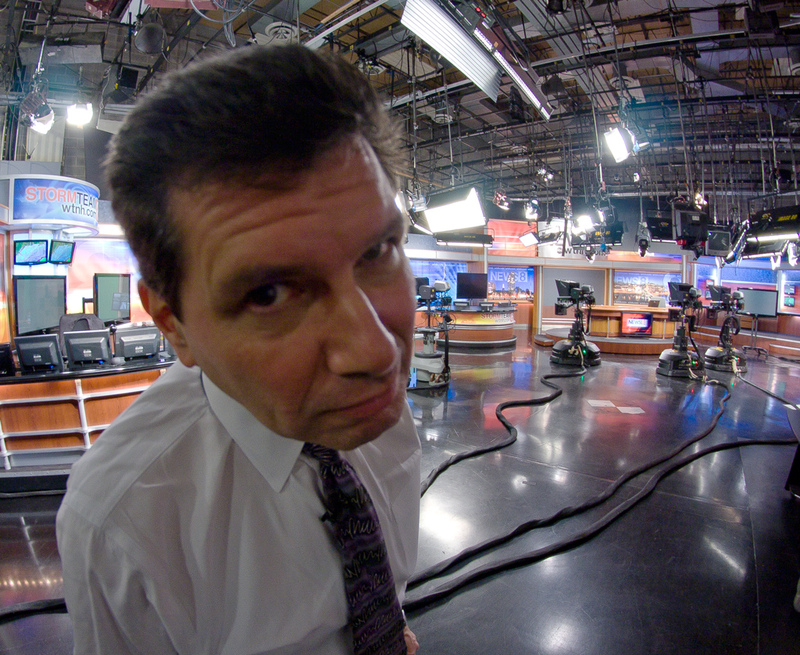 Ken is wondering, “How much of the work do the on-air personalities do when determining the weather? Is it a job where you filter the analysis from a Weather center (or techies)… or are you doing the leg work yourself? I’ve always been curious about that. Yes Ken. I was chosen for my shapely gams! No, actually our four main weather people are meteorologists. One has a PhD in physics. Another was trained by the Marines. Dr. Mel, our PhD, knows more about weather history than any three people I know. He learned to forecast before computers did most of the heavy lifting. It boggles the mind. When I first met Gil I was looking down my nose at USMC meteo training. I could not have been more wrong! The coursework he took and the practical experience he gained was second to none. He is among the finest, best trained forecasters I’ve ever met and I don’t throw that compliment lightly. 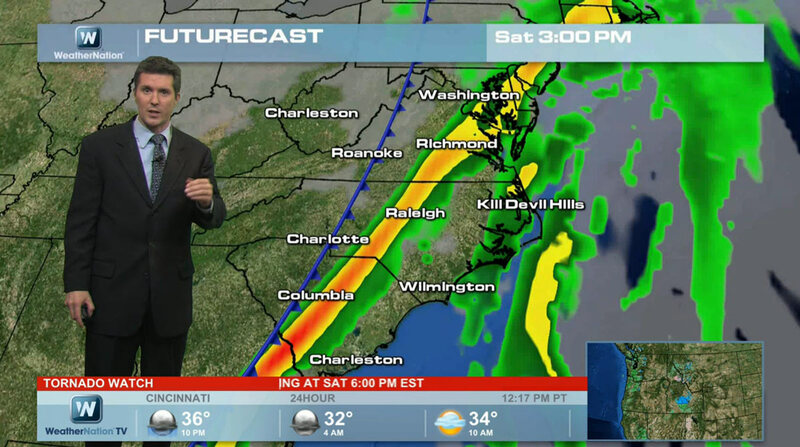 When I started on-the-air as a ‘weatherman’ I didn’t have a clue! I quickly realized I’d better learn what I was talking about. I did a lot of studying before finally going back and getting certified at Mississippi State University. I was awarded a certificate for academic excellence and finished with a 3.97 GPA. I have the AMS Seal. I also have seven Emmys, though that’s a performance and not accuracy based award. Jonathon is pushing back a little. “It is my understanding there is only one sky. So why do you weather people say “skies will be cloudy”? Jonathon, “Home on the Range” influence, plain and simple. In a heartbeat Paula! I’ve done it twice. It’s less scary than you might think. I actually wrote about that trip for my blog and it’s still available–just a click away. My scariest adventure was flying in an F/A18 with the Blue Angels. We took off nearly vertically, flew upside down and in ever tightening inside turns. All of it was done while sitting on an explosive charge in the ejection seat! I didn’t lose my lunch. My MSU coursework was all online. It’s a lot harder to do it that way than in a classroom. You need a great deal of discipline and motivation. The MSU course isn’t calculus based (which no meteorologist uses in daily forecasting) and is not an accepted course to work for NWS. The Agriculture Department used to have a distance learning course which was thorough and very difficult. I haven’t heard of it in years. Job prospects in meteorology are very poor. NWS has fewer employees and TV stations are cutting back where they can. I suppose some people might make a definitive forecast tonight, but no one knows for sure. This is far from settled. The past few days have been bitterly cold. Very unusual this early. It’s been an easy forecast to make. This Sunday there might be snow. It’s the forecast from hell! All the computer models are pointing in different directions. The implication is there will be a big snowstorm. I just can’t tell you where. He suggested we mumble that line and move on. The models are seeded with real world data to get them initialized, but my usual favorite (GFS) has initialized with a poor understanding of a strong low in the Gulf of Mexico. Other models are forecasting snowfall in the multi-foot range. Are they any better initialized? Our data is limited and often flawed. There are many places for which no data is received. I don’t quite understand how these models attempt to compensate for all the things we don’t measure. It has to weaken the model output. As a meteorologist the uncertainty bothers me no end. We’ve had a little discussion going on over at Facebook. Some of the talk is technical. This is generally a time when meteorologists talk it out. The scenarios are so complex it’s possible to miss something so talking is valuable. In the end all our individual forecasts will vary a little. Most of the time most of us will be mostly right… and we’ll relax knowing we’ve dodged the bullet for now. There is no upside to being wrong. After twenty five plus years these winter forecasts have gotten no easier to make. I’m sweating it out with you. I told her to get out. That’s advice I’d never given before–advice which came surprisingly easily. I got a call yesterday from a friend. She’s a meteorologist and former intern I’ve helped with her career. She has reached a crossroads. The job is no longer fun. Her company’s viability is questionable (as are some of their cost cutting practices now showing up on-the-air). She is being asked to do more with less–that less often being her own sleep! It’s not a good situation. She doesn’t see it getting better. If asked tomorrow to do weather for Connecticut, Albuquerque and Grand Rapids, I could. Most on-air mets could. Looking out the window is overrated when you’ve got as many observational sources as we have. Her small station is a prime candidate. A friend in Palm Springs tells me the NBC station there is already getting their weathercasts from someone at their sister station in Las Vegas. He wouldn’t have known if he hadn’t read about it in the newspaper. There are tradeoffs. Two stations can’t be live at the same time. Some local forecasting quirks would have to be learned. Mostly the public wouldn’t notice (as my friend the Palm Springs broadcast executive didn’t notice)–except the finished product would be more sterile. If you’re recorded, live interaction becomes a casualty. It’s the kind of fatal wound that bleeds slowly, but steadily. I’m not sure broadcasters can afford the luxury of quality over cost. Many, like my friend’s employer, are upside down in their financing. Money to pay off notes trumps every other expense. More-and-more this is what’s happening to local radio. One disk jockey can do a handul of shows every day if all the waiting between the songs is eliminated. It’s called voice tracking and it’s done because it costs less–not because it’s better. It decidedly is not better&#185! Back to my friend. She sees her career as a dead end. If she stays, what is she staying for? It is an environment where company loyalty is a one way street. She has other skills. I suggested she go with those and set up a small business in the community she’s grown to like. She’s in a relationship. That’s much more important than a boss who sees her as an interchangeable part and will always be looking for ways to let her go. I’ve never given this advice before. I never thought I would. Most people don’t understand the financial pressure all media is under–not just print. &#185 – If you really want to be depressed about the state of radio, read Jerry Del Colliano’s “Inside Music Media.” He is brutal in his assessment heavily leveraged companies have eviscerated local radio. The surf will be angry. The beaches will be empty of bathers. Hurricane Bill is down to Category 1 at the moment. I can see that in the satellite shot. The eye has become ratty. Convection is missing from much of the western side. Most importantly, it looks like dry air is getting in toward the center. Earlier tonight on Facebook Craig Allen posted some personal observations from Jones Beach on Long Island&#185 which was disappearing under the tidal surge. Without Long Island we’d be susceptible to all that Bill’s got. Of course that’s academic. Thanks for taking one for the team Long Island! Offshore, NOAA’s buoys continue to see large swells even in areas without strong winds! There will be plenty of video later today from Massachusetts. The surf will be angry. The beaches will be empty of bathers. Close but no cigar for Bill. Connecticut gets a pass. He will be Canada’s problem now. We are happy to see him depart. &#185 – Actually Jones Beach is south of Long Island on a barrier island called Jones Beach Island. This is one of those cases where what is true and what is commonly believed are at odds. Author Geoff FoxPosted on August 23, 2009 Categories UncategorizedTags Canada, Connecticut, Craig Allen, East Coast, Facebook, Jones Beach, Jones Beach Island, Jones Ocean, Massachusetts, meteorologist, National Hurricane Center, National Oceanic and Atmospheric Administration, United StatesLeave a comment on Hurricane Bill–Wide Right!